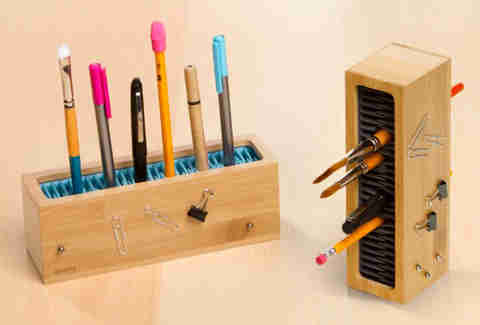 Everyone knows an organized desk is a (semi-)productive desk, so streamline your workspace with the sleek Pen Zen organizer. 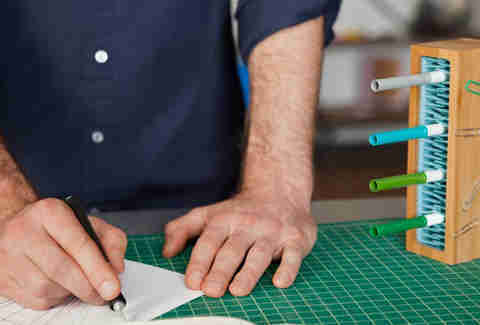 The rubber inserts grip your pens, pencils, and markers while hidden magnets hold your paper clips and other metallic supplies to the aesthetically-pleasing bamboo surface. 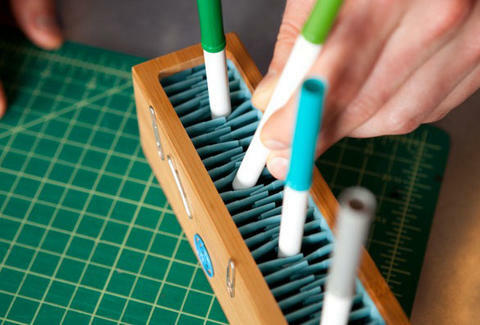 With Pen Zen, you can get all your pens in a row, even if your ducks are running all over the place.